Our dedicated Crime Team can ensure you have representation at the Police Station, Magistrates Court, Crown Court or Appeal Court depending on your requirements. Please contact us about your criminal matter on 01536 276300 or 01536 311690 or use our online enquiry form. Imprisonment can be an immensely worrying and distressing prospect for a person. Whether you are a long-term prisoner or have only just been apprehended and are unsure about your rights, Seatons can help provide legal assistance on all aspects relating to prison law. 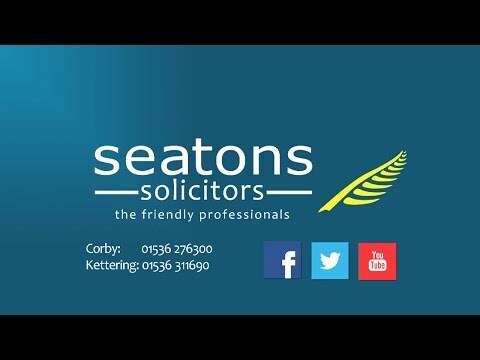 Our team of friendly experts offer clear, easy-to-understand legal advice at low sensible fees and will ensure your matter is dealt with efficiently and effectively. For more information, give us call on 01536 276300 today. Assisting with transfers to more suitably adapted prisons. Providing representation for prisoners seeking a transfer from prison to mental hospital. Assisting with matters relating to parole. Compensation for human rights breaches. Compensation for any unlawful act. Providing representation for prisoners involved in complaints to the Prison and Probation Ombudsman. We have a reputation for being friendly, hard working and for going the extra mile to ensure the best possible result is achieved for our clients. If you or a loved one have been detained and are unsure about your rights in law, give us a call on 01536 276300.